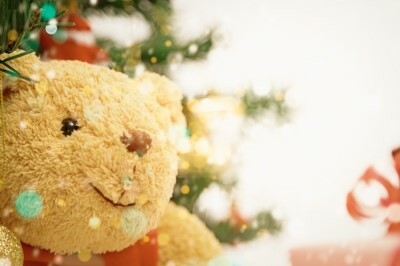 The holidays are a time for spreading cheer and you can do so by incorporating the festive spirit into your home. Decorating your living space from the kitchen to the entryway will offer a welcoming environment for friends and family to relax. 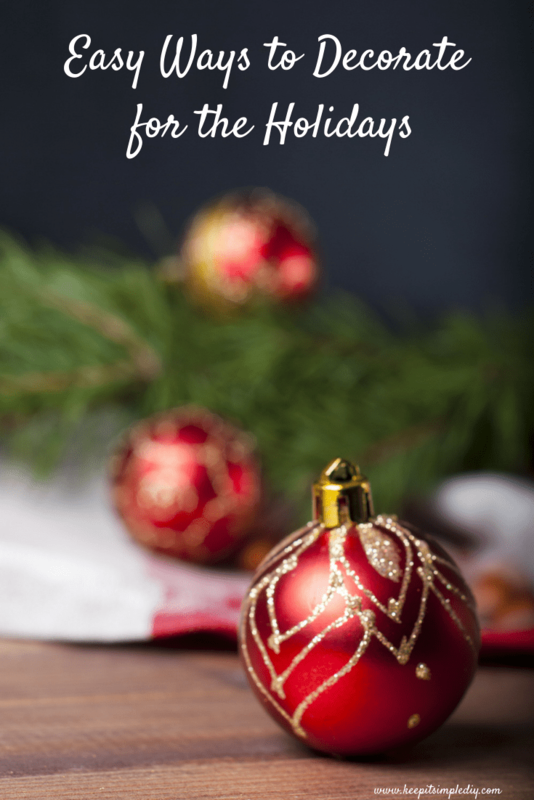 We’ve outlined some easy ways you can liven your home for the holidays. Of course you will want to fill the base of your tree with beautifully wrapped gifts, but why not take it a step further. For smaller gifts, wrap them to match your tree. You can then place the small presents within the branches to decorate. 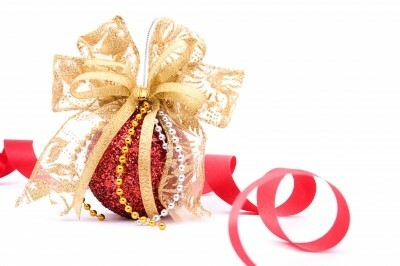 Your guests will have fun scouring the tree for gifts. Make a holiday statement as guests first arrive at your door by hanging wreaths and garland. You can even let the door decor serve as a sneak peek to what your tree will look like by incorporating similar design features. Sprinkle lights with the garland that frames your door to give it extra sparkle at night. Cake stands in holiday colors or platters can be placed along the table to infuse it with more Christmas spirit. If you buy a plain cake stand, glue a holiday colored ribbon around the edge that matches the rest of the decor on your table. You can also place small holiday trinkets throughout plates of food to tie your spread together. You don’t have to limit yourself when it comes to greenery. Add it to the banister of your staircase and string lights within it to make your home even more lively. You can also place lanterns on each step for more of a holiday feel. Placing Garland around your fireplace will also add a festive element. Add poinsettias or citrus fruits throughout the branches to give a pop of color. When decorating rooms throughout your house, consider items that are already in the room. For example, if you chose a runner in your entryway that is red, incorporate the same color as you decorate the stairwell. The same goes for your living room. Choosing rugs in holiday hues can help tie together any room at different times of the year. Switch up the pillows on the couch for golds, reds and greens during the holidays. Purchase a festive throw to drape over existing furniture. This will enable you to get the most use out of the furniture and decor already adorning the room. Spread fragrant tree branches throughout your house. Tuck them into pillows. Slide them into place settings. You can even use them to decorate the outside of candle holders. Incorporating holiday greenery throughout your home is an easy way to create a cohesive look. An easy way to avoid having to replace fresh flowers periodically is to decorate with ornaments instead. Fill a flower vase with different ornaments. You can buy vases in varying shapes and sizes to they can sit together decoratively in groups of three on your mantel or dinner table. When the holidays draw near, it’s easy to find decorative holiday statues and frames. Replace the accessories on your shelves with one’s designated for Christmas. Frame old Christmas card pictures so you can look back on happy memories. Pick a color such as gold and choose items in that hue. Combine bowls of ornaments, small trees, and wrapped gifts to give your shelves holiday flair. Nothing beats walking into a home and smelling the fragrance of the holidays. One way to make your home smell nice is by keeping a kettle with water on the stove. Slice orange and cloves and place them inside. Put the burner on low when you are home. You can also stud fruit with cloves and roll them in cinnamon, nutmeg, and sandalwood oil. When the holidays are over, simply pack up your seasonal decor. The great thing about investing in Christmas decorations is that they can be reused long into the future. 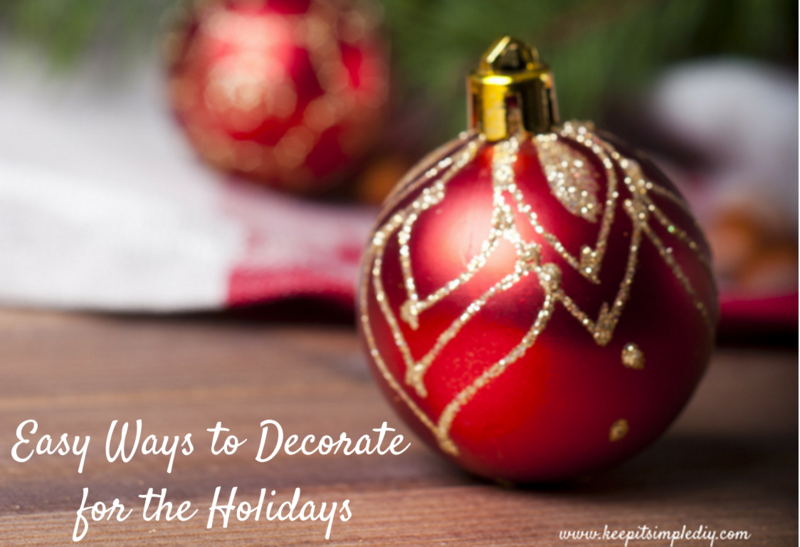 Each year you can add to the collection to make your decorations pop. Clarissa Caouette is the proud owner of a residential cleaning service by day and an interior design enthusiast by night. Clarissa deeply enjoys research, reading, and writing about design topics and is currently working towards become a certified interior designer.